Published by Andrew Gonzalez on August 9, 2018 2:48 pm and last modified on February 11, 2019 6:46 am. LogMeOnce Review 2019: Best Online Password Manager? Published by Andrew Gonzalez on August 8, 2018 1:54 am and last modified on February 11, 2019 7:15 am. Published by Andrew Gonzalez on August 2, 2018 2:34 pm and last modified on February 1, 2019 9:01 am. Published by Andrew Gonzalez on July 30, 2018 3:13 pm and last modified on February 1, 2019 9:15 am. Published by Andrew Gonzalez on July 10, 2018 4:22 pm and last modified on February 1, 2019 8:57 am. Panda Security is a Spanish company that specializes in creating products for IT security. Initially centered on creating antivirus software, this company has expanded its line of business to advanced cybersecurity services with technology for preventing cybercrime. It is one of the most popular antivirus programs fulfills its functionality correctly. Its solutions and products are available in more than 23 languages, for more than 30 million users, in 190 countries worldwide. According to the company, it has subsidiaries in the US, Italy, Switzerland, Germany, Austria, Belgium, the Netherlands, France, UK, Sweden, Finland, Spain, and Japan. Besides, it has franchises in another 44 countries. Panda Security offers protection tools for systems, networks, emails, and other private information. When using this service, you can benefit from the Managed Services, Pro-active technologies for anti-malware protection, Collective Intelligence, Cloud Security, Antivirus, Anti-spyware, Firewall, Anti-spam, Parental Control, Perimeter Solutions, Advanced Cybersecurity, EPP, EDR, Threat Hunting, 100% Attestation, and Visibility etc. In addition, VPN service is added into its service. A free VPN package with limited 150MB per day comes along with the Panda Dome Essential, Advanced and Complete plan. You can enjoy unlimited VPN with the Panda Dome Premium plan. VPN features let you become anonymous, safe and free on the Internet. If you always do shopping, banking and send confidential information via the Internet, it is very necessary to install a security program on your device. It is because the hackers can attack unprotected devices and steal financial information easily. Panda Security automatically detects, analyzes, and classifies malware in real-time, keeping your device and data safe all the time. This leading service comes with affordable price, letting all users secure their devices at less cost. Panda Security is an advanced, useful and affordable service. Published by Andrew Gonzalez on July 10, 2018 2:17 am and last modified on November 22, 2018 7:56 am. Published by Andrew Gonzalez on July 5, 2018 7:09 am and last modified on March 1, 2019 6:28 am. Published by Andrew Gonzalez on July 4, 2018 2:27 am and last modified on January 31, 2019 7:28 am. 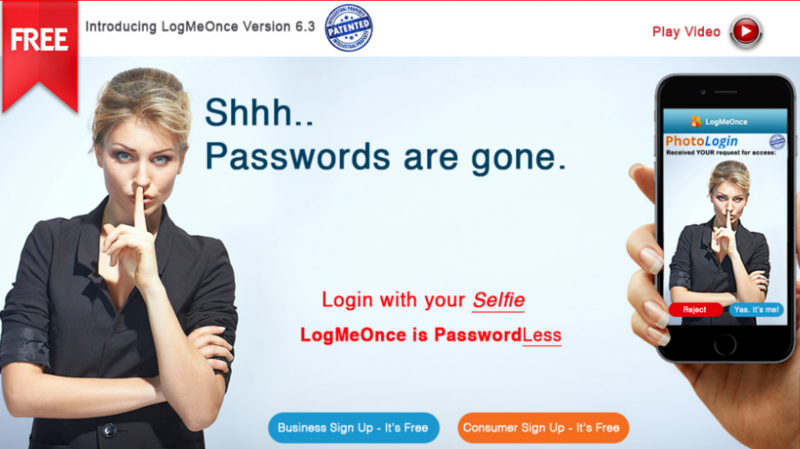 What is LogMeOnce Password Management Suite Premium? LogMeOnce is a great online password manager with two-factor authentication and adds a second layer protection to your device. If you have multiple iPhone, iPad, Android devices, then LogMeOnce should be one of your best choice. LogmeOnce adds USB Kill-Pill Technology for encrypting USB authenticates you with hardware token to log in to your accounts. Your passwords are protected with AES-256 encryption technology. Even if a hacker steals your password, you won’t need to worry about he will be able to find out your physical key, that is the power of integrated security that LogmeOnce is bringing to you. LogMeOnce Password Management Suite Premium is completely free, and it outperforms many of its for-pay competitors. Stop password chaos and benefits from LogMeOnce’s unrivaled automated authentication. Protect and manage your passwords. LogmeOnce is advanced, secure, user friendly, and is regarded as the Best! Published by Matt Johnston on July 3, 2018 8:47 am and last modified on August 6, 2018 9:06 am. Published by Andrew Gonzalez on June 25, 2018 6:28 pm and last modified on February 11, 2019 4:42 am.